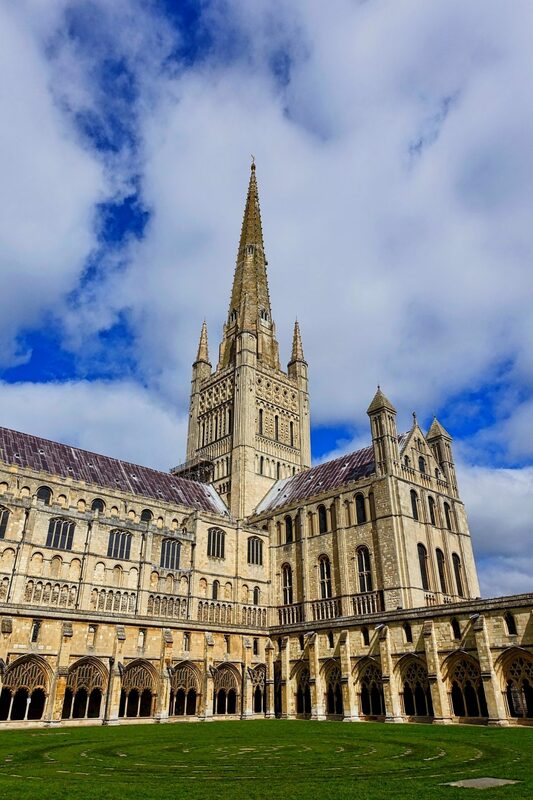 Construction began in 1096 with flint and mortar, faced with Caen limestone, and the cathedral was completed in 1145 with the Norman tower you can still see today, topped with a wooden spire covered with lead. 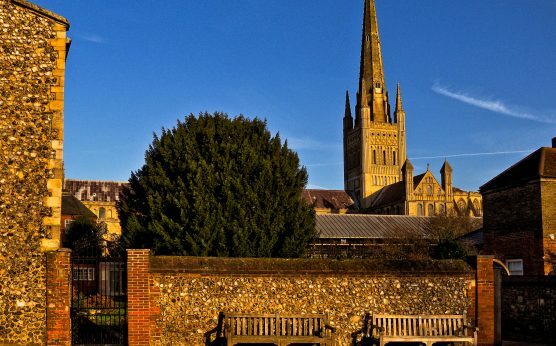 The second largest cloisters in England can be found at Norwich Cathedral, exceeded only by those at Salisbury Cathedral. There are over 1,000 bosses to marvel at in the large cloister, of which several hundred are carved and ornately painted. Look out for the famous Green Man boss when you visit. The cathedral spire measures 315 ft (96m) and is the second-tallest one in England. 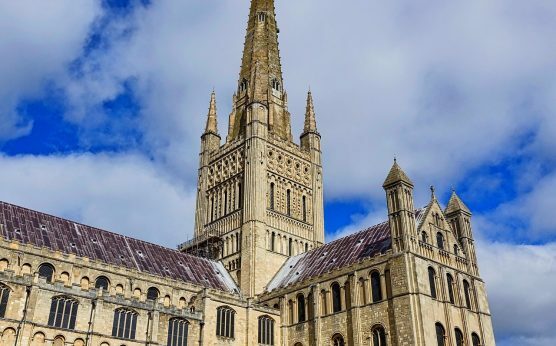 In 2011, a partnership between the Hawk and Owl Trust and Norwich Cathedral, with the help of volunteers from Norwich fire-fighters, led to the installation of a platform for peregrines on the spire. Video cameras were installed to monitor the peregrines’ comings and goings, and over the years, several breeding seasons have captured the public’s attention. 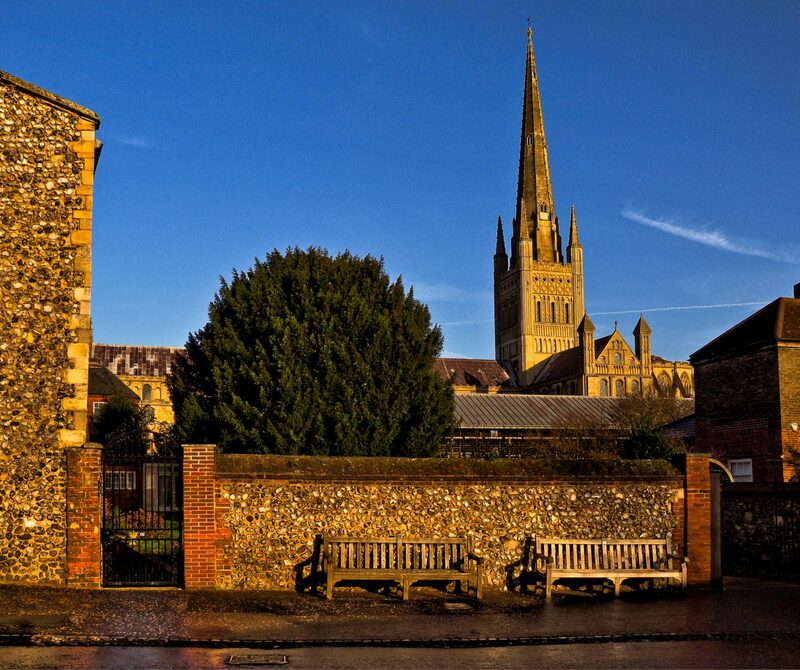 Visitors to Norwich Cathedrals can learn about the cathedral’s 900 years of fascinating history, view exhibitions and enjoy a meal at the Refectory cafe as well as wander through the Herb and Japanese Gardens.